Working in conjunction with Automasjon og Data of Norway, we have developed a unique inertial measurement system for the offshore, marine, and other industries. Previously a motion sensor for the marine industry would be referred to as an MRU (Motion Reference Unit), and consist of a single unit mounted somewhere on the vessel. However, 1) there exists developing sophistication in the monitoring and control requirements of the marine industry. And 2) there is a proliferation of inertial sensors, ranging in specification from low accuracy low cost for use in mobile phones to high accuracy high cost for use in orbiting satellites. Our objective therefore was to create a flexible system that could match sensors to project requirements, and in turn allow the use of multiple sensors in a ‘matrix’ configuration to best achieve project objectives. 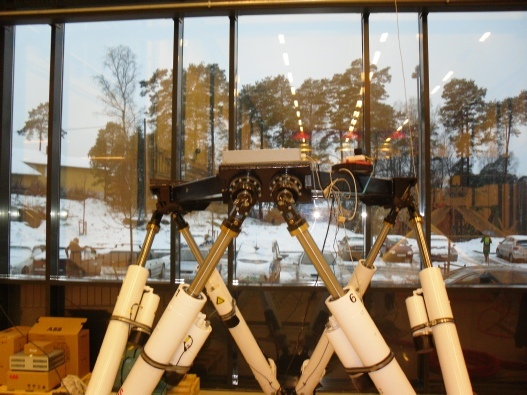 The Adaptive Inertial Matrix (AIM) system has been developed to fulfil these basic requirements. 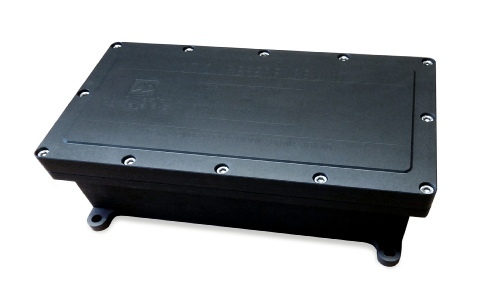 The main unit consists of a powerful 32bit multi processor CPU directly coupled to inertial sensors. 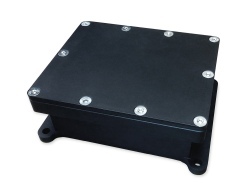 A range of inertial sensors of different specifications are supported. A system may consist of only a single sensor, and so consistent with the traditional MRU, or multiple sensors. Multiple sensors can be grouped together with the main unit, or mounted remotely at different measurement points. In this latter configuration, rigid body mechanics can, for example, be utilised to achieve a full and accurate description of body rotations and displacements. Versions are available tailored for specific applications, both in terms of sensor configuration and firmware equipped with specialist data processing. These are Wave Buoy, Crew Transfer Vessels, and Helideck monitoring.